On Tuesday, April 24, S&P Indices  will release the S&P CoreLogic Case-Shiller Home Price Index (HPI) at 9 a.m. EST. The latest data will measure home price changes across the country for February. The index is a leading measure of U.S. residential real estate prices, tracking changes in the value of residential real estate both nationally as well as in 20 metropolitan regions. 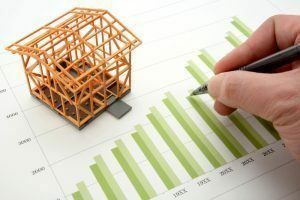 In March, the data released for January showed that home prices continued their rise across the country over the last 12 months. The S&P CoreLogic Case-Shiller U.S. National Home Price NSA Index, covering all nine U.S. census divisions, reported a 6.2 percent annual gain in January, down from 6.3 percent in the previous month. The 10-City Composite annual increase remained unchanged from the previous month at 6 percent and the 20-City Composite was up from 6.3 percent in the previous month.